Recently we started getting following error on one of our CRM environment. As in example it shows user does not have permission to update relevant leads, we given lead update permission to relevant users and that fixed the issue!! While looking for solution on this problem I also found few CRM Security Reports displaying all role privileges, including hidden privileges. 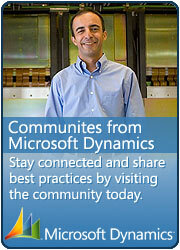 This entry was posted in CRM 4.0, Tips & Tricks and tagged CRM Security, Dynamics, SQL on October 13, 2010 by mayankp. Post was eyeopening one. Not hust copy/paste stuf. Cool writting. I really enjoy reading your blog; just figured I would mention that.